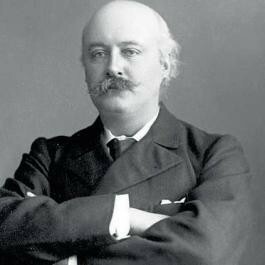 Tomorrow (Tuesday 27th March) you can hear the results of my recent research into the composer Sir Charles Hubert Hastings Parry, he of Jerusalem, Repton, Blest Pair of Sirens and I Was Glad fame. 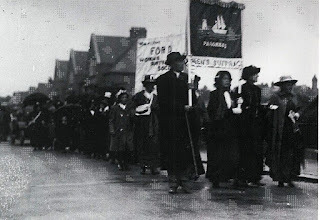 I have been fascinated by how his shift from a figure of privilege, wealth and social status to one who embraced ideas if social and political reform - not least the cause of women's suffrage - was matched by his growing professional involvement in music. It is as if for him access to music by all was part of a long-term political switch from right to left. In my public Forum talk (5.30pm at the Steven Baxter Recital Room in the Yogn Siew Toh Conservatory, part of the National University of Singapore) I can only scratch the surface of a fascinating life which changed the whole course of music in England - transforming it from being a rich man's hobby to a burning artistic ambition which knows no social or economic boundaries. 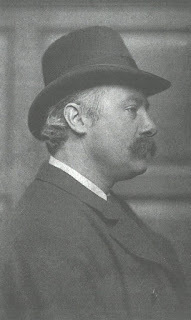 But while it might seem that this is concerned primarily with English music, the international repercussions of Parry's life and work resonate as far as India, Tibet, South America and, yes, Singapore. Thank you, Marc, for this entertaining talk. Having sung "Jerusalem" countless times (it was the only hymn that roused the entire school), it was meaningful to learn more about its composer, Sir Herbert Parry. His contribution to the British music scene was an eye-opener. In particular, the context of "Jerusalem" and its original purpose during the First World War, women's enfranchisement and time of enormous social change is now understood and appreciated. Your talk was delivered with due wit and colour, much to the delight of the listening Harrow School musicians, currently in Singapore as part of their Asian tour.